The third week of the trial between the Justice Department and AT&T-Time Warner kicked off on Monday with government lawyers going deep with Turner executives on past negotiations with distributors. In its bid to block AT&T's $85 billion takeover of Time Warner, the government has argued that the new company would have additional leverage over its distributors, and that the possibility of not having access to Time Warner content could extract higher prices or onerous terms. The day was filled with testimony from Turner executive Coleman Breland, who was previously in charge of Turner's negotiations with distributors and now serves as the organization's president of content experiences. On the stand for hours, Breland provided testimony that could be construed as helpful to either side. Breland was the Justice Department's so-called "adverse witness," one whose position runs counter to the side that called him to the stand. He helped counter the government's narrative that Turner, a huge chunk of the Time Warner package sought by AT&T that includes channels like TBS, TNT and CNN, has already used its content to force the hands of its negotiating partners. During questioning from government attorney Dylan Carson, Breland acknowledged that Turner has at times almost gone dark, also known as a "blackout" -- when a distributor drops access to a channel -- during carriage negotiations. But Breland stressed that blackouts are harmful to his side as well and that Turner never actually wants one. "You're desperate when you're off the air because you're bleeding money," Breland said. During questioning from Time Warner attorney Kevin Orsini, Breland testified that Turner lost $4.5 million in ad revenue during a 21-day blackout with Cable One in 2013. A month-long blackout in 2014 with the satellite television service Dish cost Turner $30 million, Breland said. Going dark on a top distributor could cost Turner somewhere around $75 million per month, he testified. But Carson said that Turner has repeatedly emerged as the victor following a blackout. During his direct questioning of the witness, Carson entered into evidence a number of emails between Breland and other Turner and Time Warner executives regarding their negotiations with distributors. In one instance, Carson said an email showed how Turner was willing to go dark amid negotiations with Time Warner Cable over a single penny per subscriber rate (which can translate into millions of dollars). The government has employed some variation of that argument throughout its lawsuit to stop a merger that it says will reduce competition, harm consumers and stifle innovation. 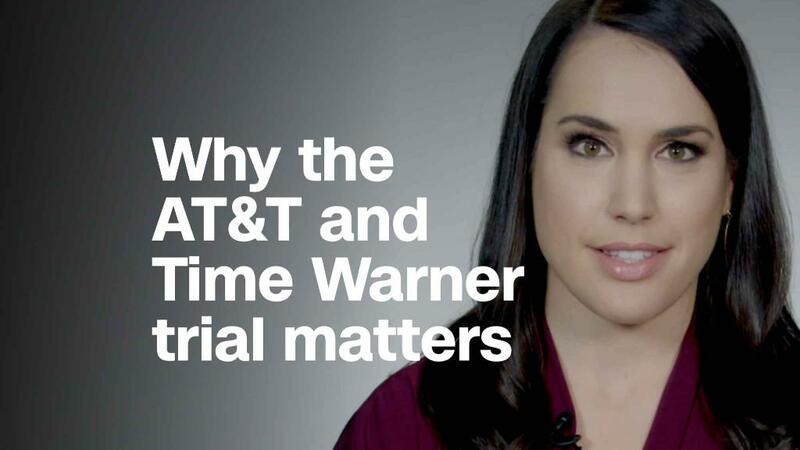 In opening arguments last month, lead government attorney Craig Conrath asserted that AT&T would "weaponize" Time Warner content -- which includes HBO and the Turner networks. In emails among Turner executives, Carson pointed to statements about how many subscribers the distributors could lose or were losing as a result of blackouts. "We generated a downward spiral in terms of subscriber loss," on email said, referring to a 2014 DISH blackout. Carson also brought up negotiations with newer providers like Sony Vue, YouTube TV, and DISH's internet-streamed television service Sling TV. He argued that Turner has increasing leverage over the newer services because without Turner, these new providers would have trouble taking hold in the market. YouTube TV, Carson noted, did not successfully reach a deal with Turner in 2016 prior to YouTube TV's launch. Last month YouTube TV announced it would start carrying Turner content. Breland said YouTube was offering to pay some of the lowest prices he had ever seen, as well as split up Turner networks into different tiers. Later, Breland noted he wants Turner content "to be on every platform that comes" along in the future because "you don't know what will be successful." Other emails introduced by Carson on Monday showed Turner CEO John Martin, who also took the stand last week as the Justice Department's adverse witness, expressing his desire to use HBO to "maximize leverage" in Turner negotiations. Carson discussed how Time Warner chairman Jeff Bewkes also sought to align HBO and Turner in negotiations. As a result, HBO was instructed to end talks with YouTube TV due to disagreements during negotiations. Breland played down the so-called alignment between Turner and HBO, saying it wasn't a mandate from Bewkes and that it was largely motivated by a desire to enhance awareness of what is going on in all parts of the Time Warner empire. HBO, he said, can become a "liability" if it's linked to Turner content in negotiations. The threat of a blackout, he said, creates a sense of "mutually assured destruction." Breland also echoed AT&T's justification of the merger as a way for the company to keep pace in an industry faced with near-constant upheaval. At one point, he said Netflix has abilities to use their data in advanced ways, while Turner is "making fire with sticks" for advertising information. "The disruption (in the industry) is like Mount Vesuvius on top of Pompeii," he said. The trial continues on Tuesday with testimony from Richard Warren, who took over for Breland as head of Turner's content distribution.